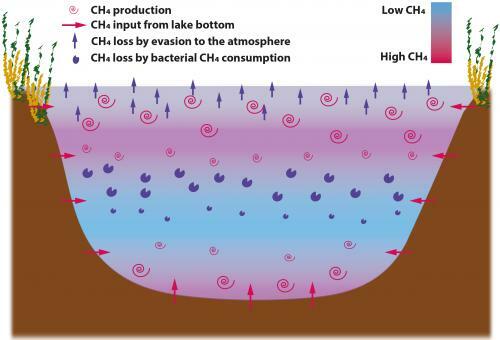 An unexpected source of methane (CH¬4) from lakes. 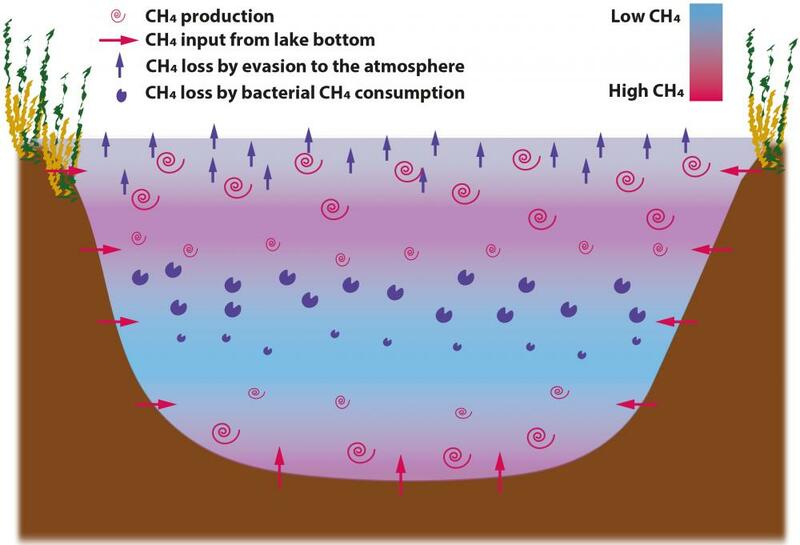 In Lake Hallwil about 90% of the CH¬4 that is emitted to the atmosphere is produced in the oxygen (O2) containing surface layer, while the majority of the methane produced from the deep is lost by bacterial consumption. The red-blue gradient indicates methane concentration. The larger the symbol for production and consumption, the stronger the corresponding process.